What does it really mean to build your brand? Does the phrase refer to marketing efforts? Strategies? Business systems? 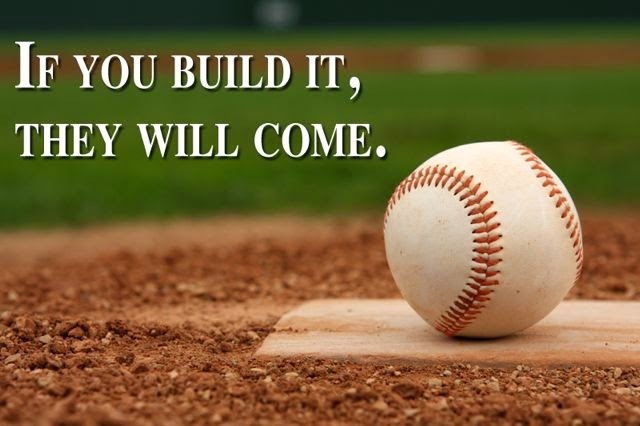 I like to compare building your brand to the movie Field of Dreams: to host a baseball game, first you need a baseball diamond--you need to build a baseball ring that accommodates everyone: the players, the spectators, the concessions, bathrooms, etc. You need to build something everyone recognizes and knows how to navigate. This is also true for building a brand. You need to create someone everyone recognizes and knows how to interact with before people will start spreading the word that there's a new game in town. The book Build Your Brand is focused on exactly this. It is a system that walks you through your brand infrastructure, step by step. To use the Field of Dreams analogy, it's not a book on how to play baseball (i.e., market your brand); it's a book on how to build a major league baseball field (i.e., build the elements you need to create a marketable brand). To build a brand (and business) with loyal happy customers, you must create a brand people can connect with on a positive level. The book Build Your Brand walks you through how to transform weak points in your brand presence into marketable strengths. Start reading now on Amazon and pick up your copy of the book today. It will be the best $18 you spend on your brand this year.